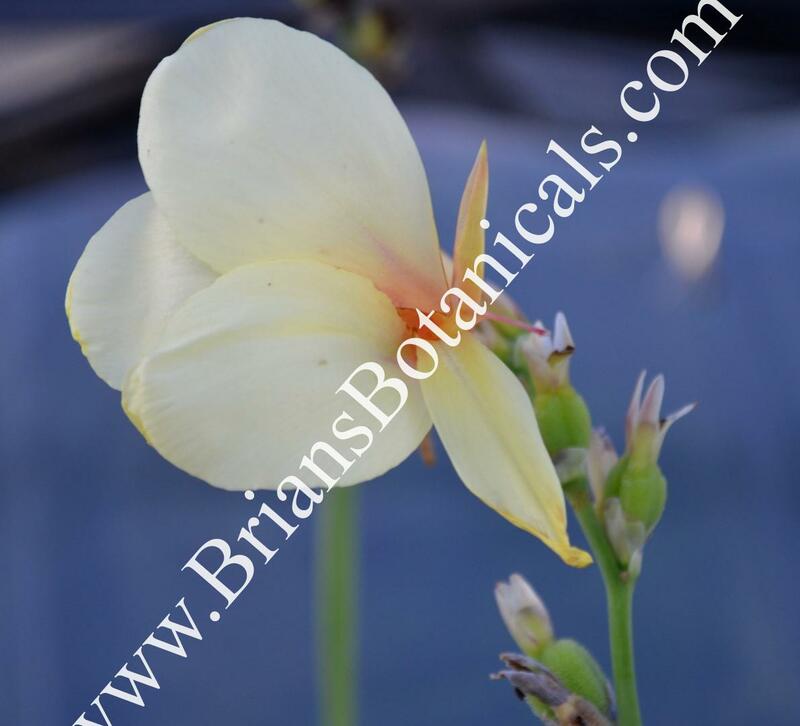 A tall slender Canna with beautiful off white flowers and pink centers. This canna makes a great plant for clusters as well as a great water garden canna. Mature plants reach 4 to 6 feet. Great for humming birds.